To ensure that your bubble soccer balls last a long time and customers aren’t walking away discussed, you need to clean your balls! 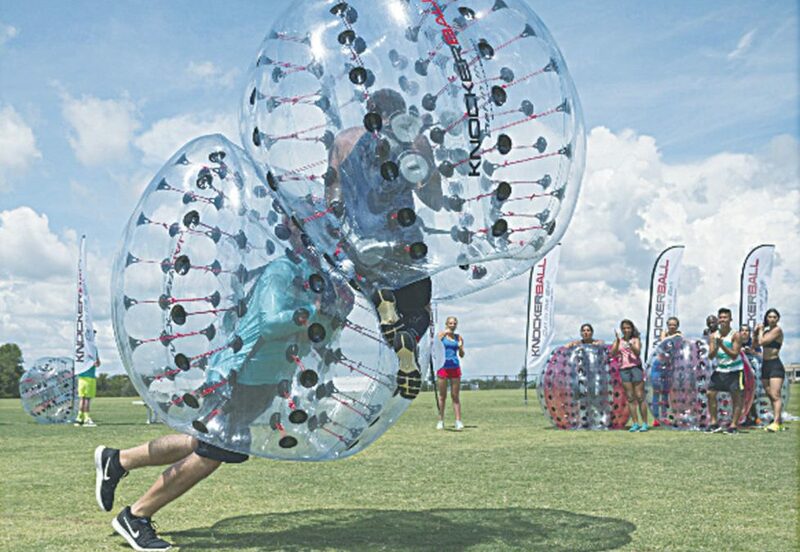 Bubble soccer balls can grow mold and mildew over time. When sweaty people are running around in them all day, bacteria is going to be prevalent. We recommend cleaning off bubble balls after every use or at least every few uses. We recommend keeping the balls inflated when cleaning as it is much easier. We recommend using an all purpose, organic and non-toxic cleaning spray on your bubble soccer balls. To keep the inside smelling great, you can use something like Febreze. You may also want to consider using a plastic polish to remove any scratches and fog on the balls. The game si more fun for participants when they have clear view theough their ball. You should store your bubble balls in a cool, dry place. You should deflate them after every use and it’s best to keep them in a duffle bag so they won’t get scratched. You should also keep them out of direct sunlight when not in use. Over time, sun may cause damage to the balls.